We provide straight forward independent advice. We are always happy to discuss requirements face to face. Our success with both business and personal clients lies in the fact that our approach is relationship rather than transaction based. We know how professional relationships are valued and we never forget our clients are our future. Whatever legal problem you have QualitySolicitors AcklamBond can help you. We’re here for you between 9am and 5pm, including lunchtimes, and late night openings until 7pm on a Thursday from our Accrington office. For your peace of mind, when you do talk to us you’ll find we use plain language - not legal jargon. We are passionate about client care which lies at the heart of our company ethos and will always aim to deliver an exceptional service - whether that be at initial contact stage or as the matter progresses. If you’re looking for a solicitor in Accrington, Darwen or Burnley, choose a name you can trust. Choose QualitySolicitors AcklamBond. We were extremely satisfied with the level of service provided by Sharon and have already recommended a friend. We chose you due to the excellent service we received at your old Blackburn office on a small matter and we are glad we came to you to help us with this case. I was extremely satisfied with the overall service provided, clear advice was provided throughout the matter, objectives were met and I received value for money service – would recommend you! Fred was professional, efficient and helpful throughout and I would recommend your services. Executor sued by Claimant 20 years after completion of the administration of an estate! 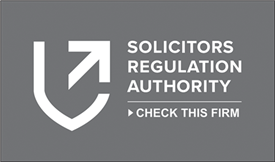 Lasting Powers of Attorney (LPAs) for Health and Welfare: Your Questions Answered! What is the firm culture at QualitySolicitors AcklamBond? “There’s a genuine positive buzz in the office and a great sense of teamwork,” a colleague recently commented to me. This was great to hear, especially since we are in the 'January blues' period when Christmas has only just passed and this week has been the first full working week back in the office. So, this got me thinking about my colleagues and the working environment we attempt to create to ensure that everyone feels supported, progresses in their career and can have a work life balance. For a small firm we actually have a very impressive list of why I think our firm is a great place to work.